Sydney, Australia: The Biennale of Sydney today announced Brook Andrew as the Artistic Director of the 22nd Biennale of Sydney (2020). Brook Andrew’s rich, research-based practice and museum and archival interventions have activated alternative histories and made forgotten stories visible in exhibitions at Museo Nacional Centro de Arte Reina Sofia, Madrid; Musée d'ethnographie de Genève, Geneva; Musée du quai Branly, Paris; and Van Abbemuseum, Eindhoven. In 2012, he curated the highly regarded exhibition, TABOO, at the Museum of Contemporary Art Australia. His distinguished 25-year career was recently recognised with a largescale, immersive exhibition at the National Gallery of Victoria, Australia. 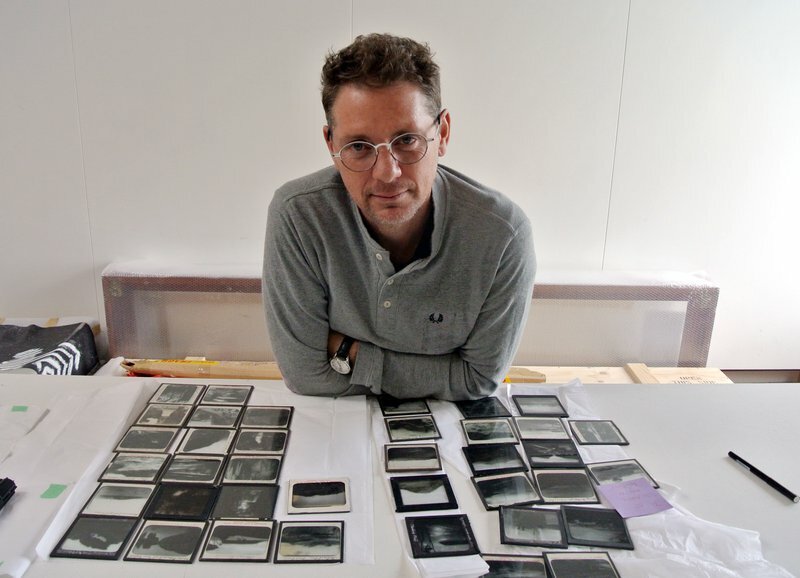 In 2017, Brook Andrew was awarded the prestigious Smithsonian Artist Research Fellowship (SARF) and he is presently concluding an ambitious, three-year-long Australian Research Council grant, Representation, Remembrance and the Memorial. This project responds to calls for a national memorial to Aboriginal loss during the Frontier Wars, a series of conflicts between Indigenous Australians and European settlers from 1788 to the 1930s. A participating artist in the Biennale of Sydney in 2010 and 2018, Brook Andrew also participated in the 9th Shanghai Biennale and the Echigo-Tsumari Triennial, Niigata Prefecture (2012); 8th Asia Pacific Triennial of Contemporary Art, Brisbane, and Asian Art Biennial, National Taiwan Museum of Fine Arts, Taichung (2015); and the Yinchuan Biennale, Museum of Contemporary Art (MOCA), China (2016). Jo-Anne Birnie-Danzker, Director and CEO, Biennale of Sydney noted that Brook Andrew was selected for the role of Artistic Director by a search committee which included among its members Dr Sook-Kyung Lee, Senior Research Curator at Tate Research Centre: Asia, London; Suhanya Raffel, Executive Director, M+, West Kowloon, Hong Kong; and Aaron Seeto, Director MACAN Museum, Jakarta. The Biennale of Sydney also consulted closely with Exhibition Partners Art Gallery of New South Wales, Artspace, Carriageworks and Museum of Contemporary Art Australia. MEDIA CONTACTS: For further information and to request interviews, please contact: Claire Martin, claire@articulatepr.com.au, +61 414 437 588, Kym Elphinstone, kym@articulatepr.com.au, +61 421 106 139, or Megan Bentley, megan@articulatepr.com.au, +61 452 214 611. ABOUT BROOK ANDREW: Brook Andrew is an artist of the Wiradjuri Nation with Celtic ancestry. He has exhibited nationally and internationally since 1996, examining dominant narratives, specifically those relating to colonialism, placing Australia at the centre of a global inquisition. Drawing inspiration from vernacular objects and archives, his creative practice harnesses alternate narratives to assemble new understandings of historical legacies. Brook Andrew travels internationally to work with communities and private and public collections to create large-scale immersive exhibitions. His aim is to present, experiment with and activate alternative narratives for interpreting the world, both individually and collectively, by expanding and re-framing history. For example, in 2014, he worked closely with the collections of the Museo Nacional Centro de Arte Reina Sofia, Museo de América and Museo Nacional de Antropología in Madrid for the exhibition Really Useful Knowledge curated by WHW at the Museo Nacional Centro de Arte Reina Sofia. He created a rigorous, immersive installation titled A Solid Memory of the Forgotten Plains of our Trash and Obsessions which reflected on Spanish, British and Australian history and colonialism. Brook Andrew was awarded an inaugural Sidney Myer Creative Fellowship in 2011 and in 2017 was the recipient of a Smithsonian Artist Research Fellowship focusing on comparative frontier wars of the United States of America and Australia. In 2017, he was appointed Photography Residencies Laureate at the Musée du quai Branly, Paris, presenting new work that investigated the relationship between the colonial photographer and the sitter. He recently completed a year-long Australia Council International Residency at the Künstlerhaus Bethanien in Berlin where he reflected on the complexity of memory sites in Germany. Current research projects include an international three-year Federal Government Australian Research Council grant Representation, Remembrance and the Monument. This project is designed to respond to calls for memorialisation of Australian Indigenous loss in Australia during Frontier Wars from 1788 to the 1930s. It will culminate in an international forum which will address how architects can work with local communities in addressing trauma and memory. Brook Andrew is represented by Roslyn Oxley9 Gallery, Sydney; Tolarno Galleries, Melbourne, and Galerie Nathalie Obadia, Paris and Brussels. ABOUT THE BIENNALE OF SYDNEY: The Biennale of Sydney is the pre-eminent and longest-running biennial in the Asia Pacific region. Since its inception in 1973, it has provided a platform for art and ideas, showcasing the work of over 1,800 artists from more than 100 countries. Today it is considered one of the leading international art events, recognised for commissioning and presenting innovative, thought-provoking art from Australia and around the world.